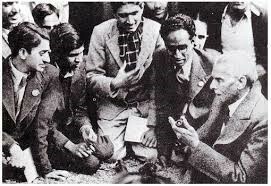 According to popular perceptions, Pakistan came into being as a result of a specific vision of the Muslim League shaped in the political milieu of the 1940s. Yet this perspective ignores the role played by the Communist-Left in India not only in articulating the idea of Pakistan, but also providing organizational support to the League essential in fulfilling the dream of Pakistan. This talk re-evaluates the history of the creation of Pakistan from the standpoint of international Marxism and the ideological shifts that had occurred within it. These shifts had a profound effect on the political practice of the Communist-Left in India resulting in the division of the sub-continent. Atiya Singh completed her PhD dissertation, “The Vicissitudes of Democracy: The Failure of the Left in Pakistan, 1940-1971,” at the University of Chicago. Currently, as an associate member of the Committee on Southern Asian Studies, she is completing a monograph on the fifty years of South Asia at the University of Chicago. Sponsored by the Department of Asian Studies and the Centre for India and South Asia Research/The Institute for Asian Research.